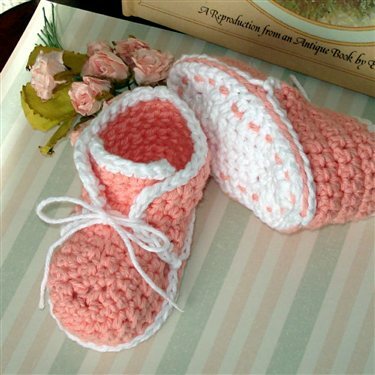 Available at www.genevive.etsy.com Cute and easy to crochet pattern for high top baby booties with ties and double soles. Illustrated instructions include optional detailing. 4 different sizes! Birth to 12 months. Many variations, ribbed and smooth texture instructions and many other ways to make these your own and be creative!